Great Podcast, as usual. I am about halfway through and so far it has been a treasure trove of great music. Jerry's guitar has so much depth and a comfortable, airy quality in his non-Dead stuff. Not that this is just bar band music, however...the first few songs you feature shatter that theory. Very nice selection. Those '77 simple twists are always a treat. That started me looking for the shows you've highlighted. "Expressway" moved me to find 1972-02-06 on www.tauthal.com and was pleased to find Jerry singing Doc Pomus's Lonely Avenue and playing the blues!!! Check it out. This is what it's all about - you've sparked me into doing a little work to find wonderful music. Thanks for the GDLGs and all the blogs. 'Nother good 'un! Everything apart from the LOM was stuff tucked into the nooks and crannies of my first 2 dozen or so tapes so it tickled some nice memory lobes. Thank you for these podcasts. 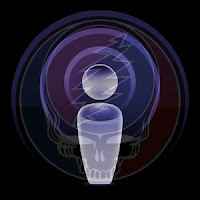 Long time Deadhead - and participant of a few ADT trees in the years past - with thousands of tapes and CDs. But still - maybe its the context, the mix you put together - but these Jerry Band pieces are mindblowing. Utterly.